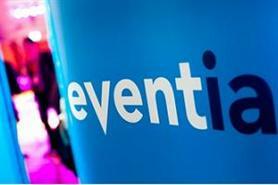 Eventia has planned a series of member forums to discuss issues around the proposed merger with the International Visual Communications Association (IVCA). In a members’ session held on 14 August, Eventia chairman Simon Hughes shared a timetable for completion of the merger with the IVCA by the beginning of next year. Further consultation sessions are now being planned for the coming months, with the next to be held at London’s QEII Conference Centre on 20 September. A forum will then be held on 8 October at Rydges Kensington London, and plans are being finalised for regional events in Birmingham and Manchester in November. Hughes first revealed the possibility of a merger to C&IT during the Summer Eventia in April, before announcing a consultation process on the IVCA proposals at the trade body’s AGM on 2 July. Following initial consultation with members, a joint proposal – including a business plan and articles of constitution – will be developed and sent out for formal consultation. An EGM and ballot of membership is planned for December 2012/January 2013.